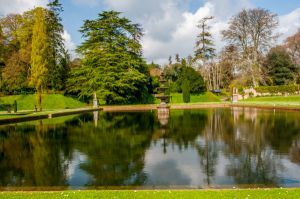 Bicton is a magnificent landscape park and historic gardens inspired by Versailles. There is something for everyone here, including a woodland railway, palm house, a countryside museum of rural life, American gardens, stream garden, pinetum, arboretum, rose garden, Mediterranean garden, and the Italian gardens purportedly designed by Andre Le Notre, designer of the famous gardens at Versailles. 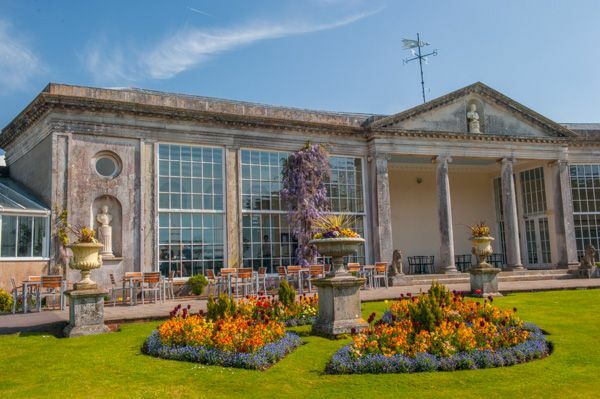 Bicton House was built by the Rolles family, the largest landowners in Devon in the 18th century. The house was begun around 1730 but was not finished until almost the end of the century. The gardens were laid out at the same time as the house was being built. 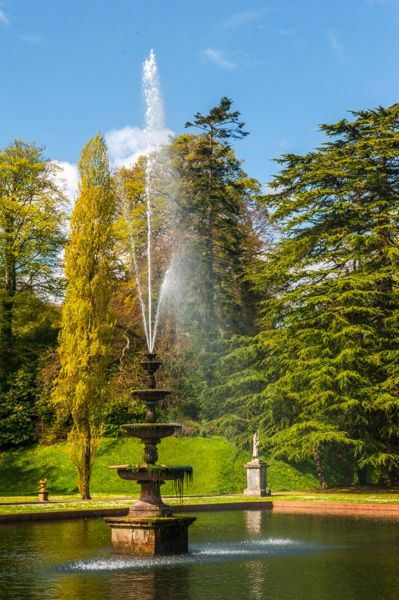 Without a doubt, the most attractive feature at Bicton is the Mirror Pond, with a fountain in the centre. 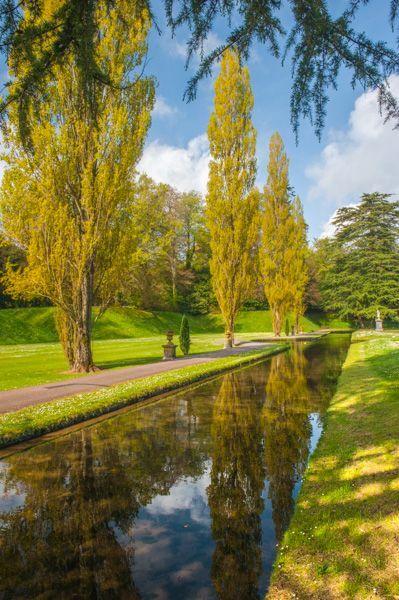 Flanked by a placid canal and arched avenue of trees, this is an exquisitely beautiful area, with colourful trees along the pond's edge reflected in the placid water. On a terrace above the Pond is the Italianate Garden, and looking out over this area is the Tropical House and Victorian Orangery. Near the Tropical House is a beautiful Victorian Palm House, looking over a rose garden and Mediterranean Garden. 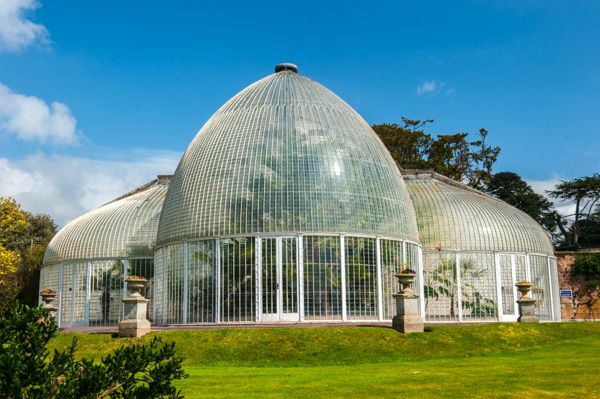 The Pal House predates Joseph Paxton's famous glass house constructed for the 1851 Great Exhibition in London and is one of the finest examples of a Victorian glasshouse in Britain. 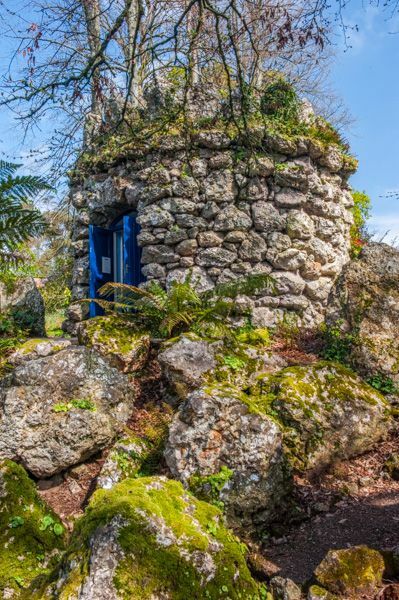 In the south-east corner is an American garden with a winding trail leading through a fernery to the Shell House, which takes its name from a huge collection of seashells lining the inside of the Gothic fantasy building. See old and new roses, dwarf conifers, lushly coloured azaleas, magnolias, and ferns. Look for a wisteria sinensis, thought to be the oldest in Britain at over 150 years of age. 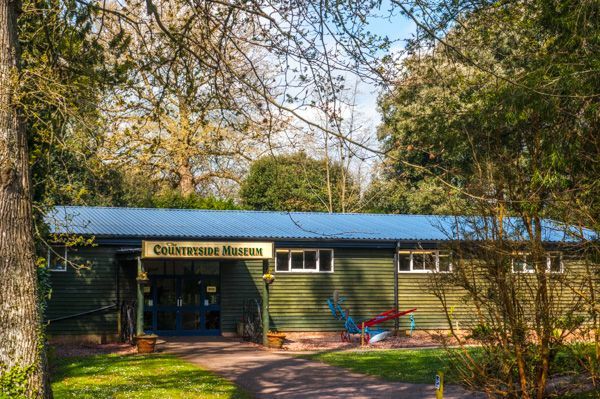 The Countryside Museum looks back at rural life at Bicton over the last 300 years. See historic tractors, agricultural tools, traction engines, and memorabilia of a traditional rural lifestyle. In addition to the rural life exhibition, the museum contains the Reg Imray Motorcycle and Car Collection, with vintage and antique automobiles and motorcycles bringing the golden age of motoring to life. Part of Bicton's heritage interest comes from the presence of not one, but two historic churches within the gardens. The partial ruins of a medieval church stand beside the Victorian Gothic building that replaced it in 1850. Within the 19th-century church are beautiful Gothic Revival furnishings including Rolle family hatchments and a series of dripstone carvings representing kings and queens of England. Curiously Oliver Cromwell's head appears among the monarchs, as do those of Lord and Lady Rolle. All that remains of the earlier medieval church of Holy Trinity is the tower and ruined 15th-century tracery. Amongst the ruins is a mausoleum containing Rolle family memorials. The base and shaft of a medieval cross stand near the mausoleum. 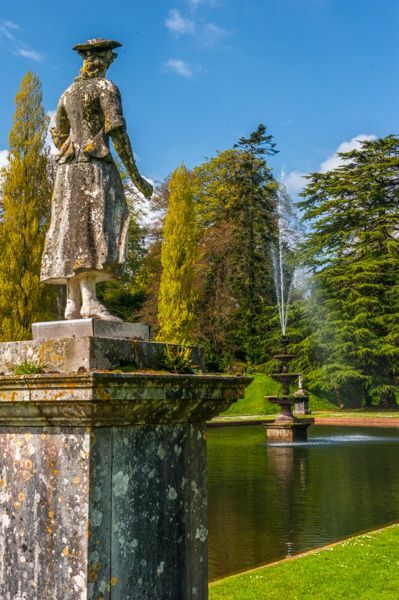 In the burial ground is the gravestone of James Barnes (1806-1877) Bicton's most influential head gardener, who was responsible for many of the Victorian features you see around the gardens today. 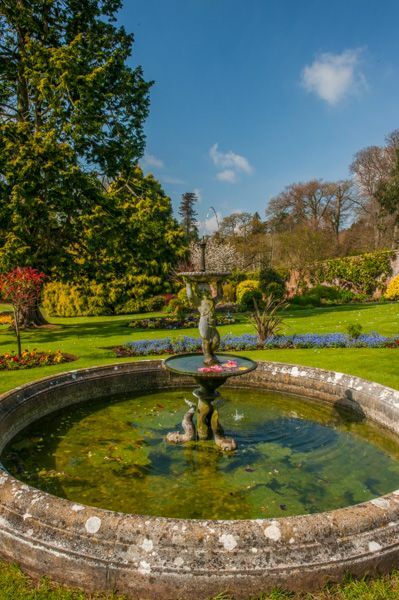 Bicton has gone to great lengths to be more than simply a garden. There are children's activities, mini golf, adventure play centres, and a miniature railway. Whether all those activities add to the visitor experience may depend on whether you have children in tow. 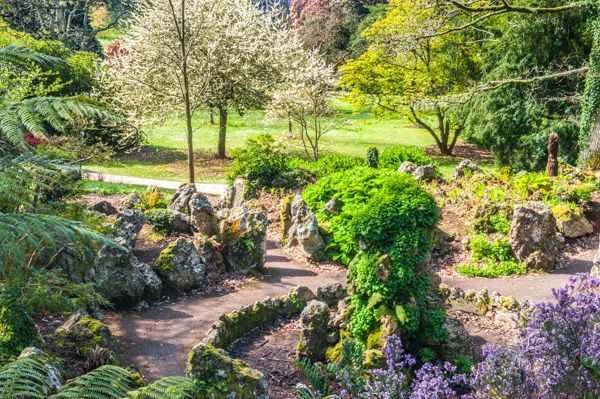 If you simply want to explore one of the great historic gardens of England, you may wonder whether you've wandered into a version of Disneyland. Thankfully, the park is large enough to be both a family attraction and a peaceful garden. Probably the most popular family attraction at Bicton is the Woodland Railway, which was launched in the 1960s. That makes it the oldest 18-inch gauge railway in England. The railway runs every day except Christmas and Boxing Day. The train is pulled by a replica tank engine named for Sir Walter Raleigh, who was born near Bicton.